We will be playing at a fund-raising event at Winnington Rec in Northwich. This evening is in aid of the Open Hearts and Minds charity which raises money to provide children in Africa with an education.We are looking forward to playing at this event. We have been asked to play for a couple on their very special day and are very much looking forward to performing at their evening event. This will be our third gig here after previously playing at the Rhythm on the River festival last summer and in the pub itself in March. The pub has undergone a recent refurbishment and has an appreciative audience so is a great environment in which to play. Our second time at Oulton Park this year for the Saturday evening entertainment. This will be our third appearance at the British Superbikes! 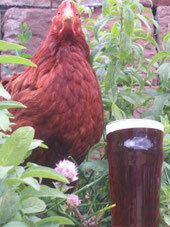 We love a beer festival and are delighted that we have been asked to play at this event at Moore Rugby Club. These are always fun occasions and we are really looking forward to it! This will be our first appearance at this event organised by The Friends of Anderton and Marbury. It will be very family oriented and we will be playing live sets during the evening. This will be our ninth time playing at the pub which is well-known locally for its regular live music evenings. We are now regular visitors to this venue, this being our second time during 2019. We have been invited to play for the Golf Club's Captain's Day event . This will be our third visit to Portal and we are really looking forward to it. We have been asked back to play for a charity event in aid of Derian House which provides palliative, specialist respite and end of life care for children and young adults throughout the North West region. Looking forward to it! We have been asked to play an afternoon slot at this gig which will held to raise funds for local disabled children's charities. We have been asked back to play for a fourth year running at Lymm Cricket Club. There is always a great atmosphere in a cosy setting in the clubhouse. 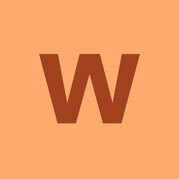 We are looking forward to fourth successful gig with lots of new material to offer! We have been asked back to play at Oulton Park for the evening entertainment on the Sunday of the bank holiday weekend. 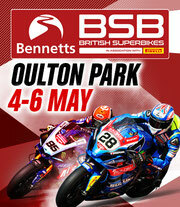 This will be our second appearance at the British Superbikes event and we are really looking forward to it! We have been asked to play two 60 minutes sets on the main stage during the Sunday afternoon of this year's festival. This will be our first appearance at this festival and it promises to be a very good one for us. This will be our second gig here after previously playing at the Rhythm on the River festival last summer. The pub has undergone a recent refurbishment so we looking forward to this one! 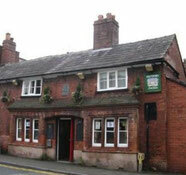 This will be our eighth time playing at the pub which is well-known locally for its regular live music evenings. We are now regular visitors to this venue, this being our first time during 2019. We will be playing for an 80s charity night in aid of St. Luke's Hospice. We have played at this venue last year and are looking forward to returning to provide a great night's entertainment and raise lots of money for this very deserving cause. This will be our seventh time playing at the pub which is well-known locally for its regular live music evenings. We are now regular visitors to this venue, this being our third time during 2018. We are looking forward to a fun-filled pre-Christmas evening. We have been invited to play for the Golf Club's Charity Ball which is a fund-raiser, with proceeds going to St Luke's Hospice and the Neo-Natal Unit at Leighton Hospital. This will be our second visit to Portal and we are really looking forward to it. We are organising and playing at a charity band night in aid of Pettypool College at The Stronghold in Weaverham. This is an ideal venue for an event of this type and we hope to raise a significant sum for the College which does such good work with local children who have learning difficulties. We have been booked to play at Truckfest Northwest for their evening event. This is a new venture for us and we are looking forward to this gig, providing the Saturday entertainment for festival goers. This will be our sixth time playing at the pub which is well-known locally for its regular live music evenings. We had a good response from all our previous gigs at this venue and look forward to another successful evening. We will be playing for the third time at the Northwich Festival on the afternoon of Bank Holiday Monday 27th August. which will be a family day at the event. We will be on a trailer stage on the main field at Moss Farm in Northwich. We have been invited play a set at the Leigh Arms as part of their 2018 charity music festival. We will be on stage on 5.30pm on Saturday 28th July and are looking forward to playing a 60 minute set for an enthusiastic audience. This will be the second day of the Blakemere Village Countryside Fair and we will be playing a further afternoon gig at the site. This time we will be playing from 3.00pm to 6.00pm. 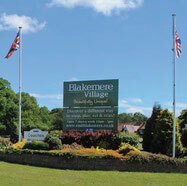 We have been asked back to play again at Blakemere Village. This time we will be playing an afternoon/early evening gig at their Countryside Fair which last year attracted 10,000 visitors! This will provide us with another 'showcase' with our local community and generate interest in the band. We are going 'on tour' to Durham to play at Dave's sister's 60th birthday party! This will be a great family atmosphere and we are really looking forward to the event. Could be an interesting logistical challenge if a potential gig is confirmed for the following day back in Cheshire! This will be our fifth time playing at the pub which is well-known locally for its regular live music evenings. We had a very good audience feedback form our gig in October so we are really looking to playing for our first 2018 gig at the venue. 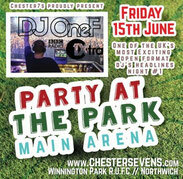 We will be playing a 45 minute set during the afternoon (2.35pm to 3.20pm) as part of the Chester 7's Northwich 'Party in the Park' Festival which takes place over that weekend. This will be a great opportunity to showcase a varied range of our songs for a family audience. We will be playing for a charity event in aid of Derian House which provides palliative, specialist respite and end of life care for children and young adults throughout the North West region. Looking forward to it! We have been asked back to play for a third year running at Lymm Cricket Club. There is always a great atmosphere in a cosy setting in the clubhouse. We are looking forward to third successful gig with lots of new material to offer! We will be performing along with other local bands and entertainers at an event to raise funds for a local child who suffers from cerebral palsy. It should be great fun and hopefully will will help to raise a lot of money for such a worthwhile cause. We are pleased to have been asked to play at the Blakemere Villagers Day this year. This is an open day to which local residents are invited and this should present an opportunity to 'showcase' the new songs we are currently working on and to generate interest in the band. We will be playing a private event to celebrate the 50th birthday of Julie Bone who is Chris's (our guitarist) wife. There will be a great atmosphere with family and friends and we are really looking forward to it! This will be our fourth time playing at the pub which is well-known locally for its regular live music evenings. We had a another great reception from the audience in March so we are really looking to playing for them again. 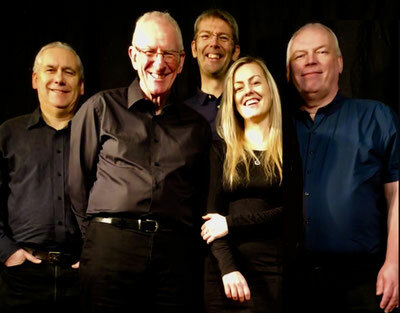 We are playing for a charity fund-raiser organised by Tarporley Hospital in as part of an afternoon and evening programme of musical entertainment. Tarporley Community Centre is a large venue which we last playing in March this year. Should be a great gig! This will be our third time playing at the pub which is well-known locally for its regular live music evenings. We had a great reception from the audience in March so we are really looking to playing for them again. We have been asked to play at Oulton Park for the evening entertainment on Friday 15th September. This will be our first appearance at the British Superbikes event and we are really looking forward to it! Our third year at the Promenades will see us playing outdoors in the Stable Yard at Tatton Park near Knutsford on the final day of the event. Hopefully we can again provide a varied set of music to suit the family audience. 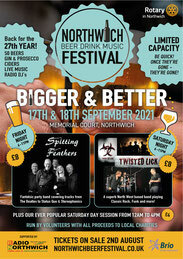 We will be playing for the second time at the Northwich Festival on the afternoon of Bank Holiday Monday 28th August. which will be a family day at the event. We will be on the main stage in the marquee at Moss Farm in Northwich. Following our Hebden Green gig in June, we have been asked to play at a private function to raise money for a disabled child who is in need of a new electric wheelchair. Really good cause and we are looking forward to playing! We have been booked to play two sets on the live music stage at this year's MiniFest at Outlon Park. 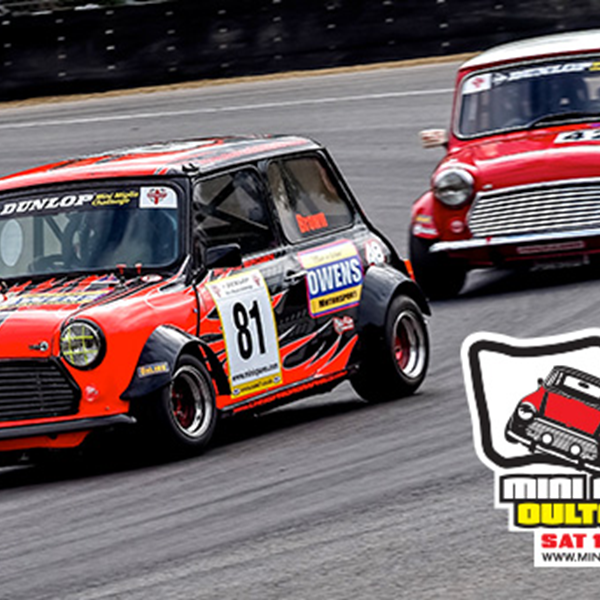 This will be our first time at MiniFest having played at their British Touring Cars event for the last three years. We have been asked back to play again at Lymm Cricket Club. Last year there was a great atmosphere in a cosy setting in the clubhouse. We are looking forward to another successful gig! We have been asked to play on the Sunday afternoon in a marquee at the Hartford Picnic in the Park. 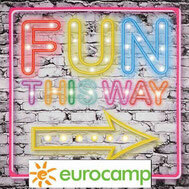 There will be a fun family atmosphere and our set will be designed to suit the event. 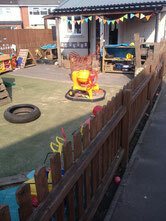 We will be playing a a Summer Fair organised by the Friends of Hebden Green School for physically disabled children. As this is such a good cause, we are looking forwards to playing at this event! 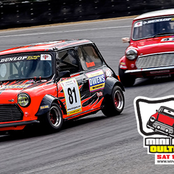 We have been invited back to play at Oulton Park fro the 2017 British Touring Cars event! We will be playing on the evening on Saturday 20th May and this will be one of the highlights of our gig calendar for the year! We are playing for a charity fund-raiser at Tarporley Community Centre. This is a large venue which we last playing in 2015. Should be a great gig with full sound & lighting rig! This will be our second time playing at the pub which is well-known locally for its regular live music evenings. We had a great reception from the audience last September so we are really looking to playing for them again. This will be our first gig at The Railway although our previous line-up did play a showcase for Nigel and Jane back in 2012. The venue is renowned for 'keeping music live' so it will be great to play in front of an appreciative audience. Should be a great night and will also be a first gig with us for Emma. We hope that this will be the first of a number of future collaborations with the local micro brewery that shares a name with our band! We will be playing at one of their regular Brewbarn events which are great fun, consisting of beer sampling, food and live music. A lively and enthusiastic audience should be guaranteed! We are delighted to confirm that we will be playing on the Saturday evening at the 23rd Northwich Beer Festival to be held at the Memorial Court in Northwich. Should be a great atmosphere and a fantastic audience. Really looking forward to it! We are pleased that we have been asked to play again this year at the Knutsford Promenades on the afternoon of Saturday 10th September. We will be playing outdoors and a large crowd is expected. Great news! This will be our first time playing at the pub which is well-known locally for its regular live music evenings. We have been told by the bands that the audience is very enthusiastic so we are really looking forward to this gig. 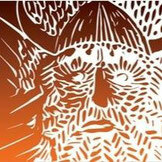 We will be playing for the first time at the Northwich Festival on the afternoon of Bank Holiday Monday 29th August. which will be a family day at the event. We will be on the main stage in the marquee at Moss Farm in Northwich. We have been ask to play at the cricket club for a Social Evening event for both adult and junior club members. We have not played this venue before and plan to test out our more compact PA and lighting rig for this gig. We have been asked to play at the Petty Pool College Annual Proms at Nunsmere Hall. For many of the young people attending this event, it will be the first time they have experienced live music so we expect a great atmosphere and a very enjoyable evening. 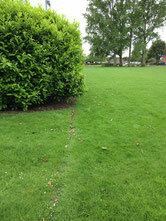 We have been invited to play an afternoon gig for a school in Knutsford that are hosting a 'Party in the Park'. We enjoy playing outdoor gigs where there will be a large audience and this one should be real fun! This will be a very interesting gig because, due to band members' holidays, we will be joined by two deputies - one on bass and the other on keys. We have been asked to play at a garden party event to mark the 20th Anniversary of this pre-school group based in Knutsford. This will be an outdoor event with an enthusiastic crowd expected so we are really looking forward to this gig! We have been booked to play at a private wedding party at Hartford Golf Club. This will be our first time playing at the venue and we aim to give the bride, groom and their guests a night to remember! 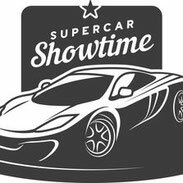 Following the fantastic gig at the British Touring Cars Event in 2015, we have been invited back to play again at Oulton Park in 2016. We are really looking forward to this gig! We have been asked to play for a birthday party at The Lighthouse and are really looking forward to this gig which will included a record 39 songs in out , including a few new additions! We are pleased to be playing at a charity fund-raising night for Northwich & District Soroptomists at Norley Village Hall. More details will follow! We are very pleased to be playing again at The Lighthouse in Weaverham, this time for a band night which will also be charity fund-raiser on behalf of The Russett School in Weaverham. This will provide an opportunity for friends old and new to see us in action and for us to include several new songs in our set list. Should be great fun! It is about four years since we we last played at this local venue for Gemma's 30th birthday party. This time we will be playing at a 'curry night' fund-raising event. It should be a great evening so let's hope the atmosphere and dancing is as hot as the curry! We are playing for a summer party for Tarporley U3A at Tarporley Community Centre. This will be a sell-out gig and we are really looking forward to playing there for the first time! We are playing a live set at 5.00 p.m. on an outdoor stage in Canute Place, Knutsford as part of the 2015 Knutsford Promenades. Expecting a large crowd. Should be interesting and very different to the venues that we typically play. Really excited about this gig. This is our first invitation to play at the evening event during the Touring Care Championship weekend and think it will be a great showcase for our party music. Hopefully lots of people will be staying over at the event on the Saturday night to enjoy a fun time! We have been asked to play at an event to celebrate Portal Premier Golf Club's 25th Anniversary. It should be a great party atmosphere and we are really looking forward to playing our 90-minute set including lots of new songs. This will be our first time playing Weaverham to support a fund-raising and social evening organised by St Mary's Church. We are looking forward to including in the set list many of the new songs that we are currently working on! We will be playing at Moulton Drama Group's Christmas Party. The band members will be treated to a Xmas meal before the show so we really will be singing for our suppers! This will be our first gig since the line up changes earlier this year. Unfortunately our new singer, Gosia, will be unable to make this gig so Chris's daughter Lisa will guest with us on a couple of songs. We are both nervous and excited about this gig and hope that our friends will enjoy what the see and hear!